We're not here to sell you gear or dazzle you with technical jargon. We're here to help you achieve your dreams. (Feel free to read about our quality and about ultimate sound.) What we offer is extensive knowledge and experience that we harness to transform those dreams into reality. Over forty years ago, I decided to build a recording studio and approached several architects for help. Astonishingly, none of them appeared to know much about room acoustics or noise control (both critical in that particular application). "Acoustic tile," they said, "that's what you need. "Needless to say, that was the moment I began my practical education. Everything I since learned about acoustics, studio construction, electronics, engineering, sound recording and reproduction, film, video, computer programming and a myriad of other technical disciplines, prepared me well for this mission. Around the time the new millenium began, I wanted a new pair of high-end speakers. But I didn't really want to pay what I thought were inflated prices for so-so products. So I decided to put my background to use and build my own. 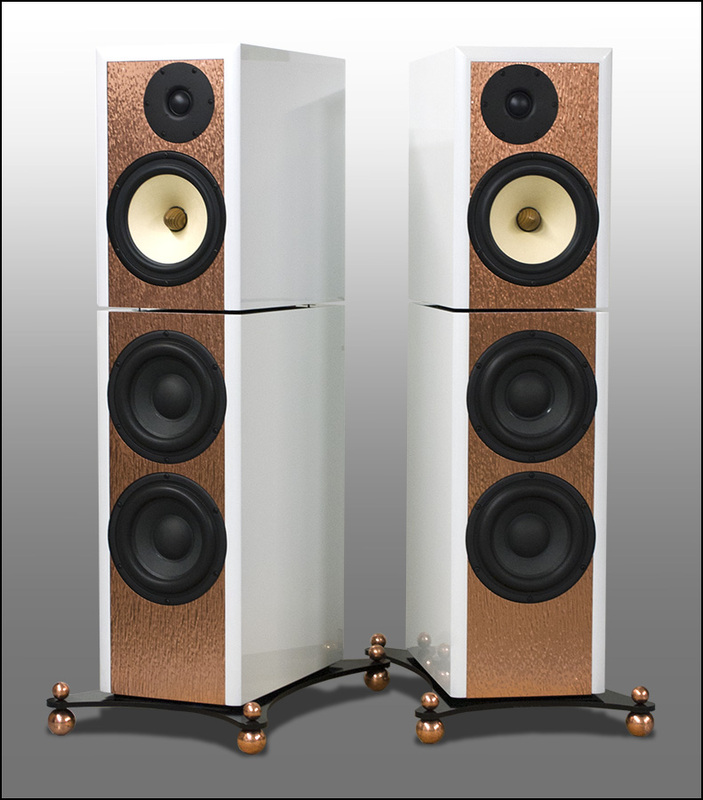 Someone posted a picture of a pair of speakers I had done in Mappa Burl. I immediately started receiving emails from individuals asking if I would be willing to build pairs for them. Sure, I said. For the next two years, I built speakers for others as a hobby. Speaker building is a messy business and I couldn't build them in my home. So, year-round, I built them in my back yard. In the middle of winter, I had to shovel snow to get to my saw and had to stand out in the cold routing cabinets. After a while, I had about enough of standing in cold weather all winter long. I either had to turn it into a business or quit doing it. By that time, I had met quite a few people in the industry and asked them what to do. The advice I got was almost universal..."don't do it!" They said it couldn't be done...that competition was too intense and I would surely fail. The more I thought about this, the more I was convinced that they were right...as far as they were concerned. They couldn't do it because they had already decided it couldn't be done. But did that mean I couldn't do it? The only way to find out was to jump in with both feet. So I rented some manufacturing space and went to work. The rest is history. I'll admit it, I do love technical equipment. But I also realize that gear is not an end unto itself. It is simply a means to an end. In the end, it is not about what equipment is installed. It is about the experience. Success or failure is based solely on the magic that results. In the final analysis, it comes down to one very simple question: Is it, or is it not, a stunning audio experience?